Are you ready to turn your lawn into a farm and make money at the same time? The creators of SPIN-farming—or Small Plot Intensive farming—are confident that anyone can follow their urban farming model and earn an income from farming on less than an acre of land. SPIN farming was created by Wally Satzewich and Gail Vandersteen of Saskatchewan Canada in an online learning series at SPINfarming.com. Their business model and method of farming focuses primarily on growing high value crops, high yielding crops, companion planting, and much closer spacing than conventional farming methods allow; SPIN farming maximizes efficiency on small plots of land. According to the website, SPIN farming techniques make it possible to sell $24,000 or more annually from a mere half-acre of land. Satzewich and Vandersteen created SPIN farming after six years of farming a multiple-acre rural site. They soon realized that there was money to be made by abandoning the traditional tractor and large tracts of land in favor of a rototiller, a few hand tools and smaller, more intensively cultivated plots. The biggest advantage of SPIN farming is that it removes two of the largest barriers for new farmers: land and capital. While conventional farming methods require large tracks of land and a significant amount of upfront funding, SPIN farming requires little more than a vacant lot or a backyard, a tiller, a few hand tools, and some hard work. In fact, SPIN farming can combine several disconnected small plots of land and make them commercially viable. One of the most advantageous aspects of SPIN farming is that land ownership is not required to start a farm. Renting, bartering, or even borrowing plots of land will suffice and this model works in an urban center, a suburb, or a rural setting. An example of a successful SPIN farm in British Columbia, Canada, is Green City Acres. This ¾ of an acre farm consists of eight separate farm plots throughout central Kelowna. Established in 2010 by Curtis Stone, Green City Acres required very little start up capital and managed to generate income after only six months. Stone rented land from homeowners to grow vegetables; in return for using their land, the landowners were able to disavow themselves of maintaining a lawn while receiving a weekly basket of produce throughout the growing season. Before starting his urban farm, Curtis had absolutely no previous experience in farming or even gardening. While searching around the internet for sustainable building methods, Curtis came across the concept of permaculture design, which inspired him to start farming. Shortly after, he discovered SPIN farming and adopted it as a model for his business. Using the methods of SPIN farming he was able to start his business at relatively low costs by using front and back yards that he rented from homeowners. In this way, Curtis was able to utilize the principles of SPIN farming without owning any land. Curtis sells his produce to local restaurants, at the farmers market, and through a community supported agriculture (CSA) program. In its first year, Green City Acres grossed $20,000 which increased in the second year to $55,000. Curtis was able to further reduce his costs by developing what he calls a pedal-powered farm, which uses the power of bicycles for transportation. Curtis emphasizes that using bicycles allows him a level of independence from fossil fuels to run his farm. He uses custom built trailers that attach on the back of custom utility bicycles—which are used to deliver fresh produce to restaurants and the farmers market, as well as to transport compost and equipment. Nicole Husaka has an ambitious, well organized plan to build and manage profitable SPIN-style urban farms on small, underutilized plots of land in British Columbia. She is primarily concerned with food security for the local population along the Western Coast, especially during the winter months. Huska downloaded information from SPINfarming.com for roughly $85 to get her started on the process of creating her own urban farming business. After 60 days she had developed a 56 page business plan which initially focused on starting urban farms in her immediate community, but soon grew to be a model which could be implemented on a regional scale. Huska’s business plan included multiple phases. The first step of her plan was to build a demonstration farm, called Nicole’s Farm, on the 4.5 acres of land that she owns on the Sunshine Coast, British Columbia. This is what she calls the proof of concept farm, which will reflect the farming principles that will be used on the smaller, one acre satellite farms. The second step was to develop satellite farms. The produce from these farms, along with produce harvested from the main proof of concept farm, will be pooled together and sold at local markets. The key to Huska’s business model is that her farm finds underutilized land and strikes a deal with the landowner to receive a share of the farm’s profits in return for use of the land. In addition, the farm trains and hires a resident farmer and manages the sale of the produce. 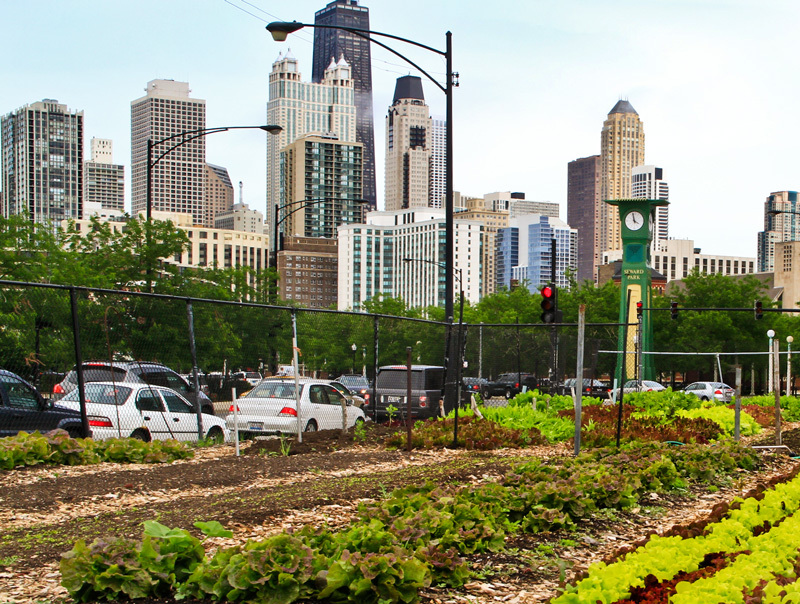 Creating small urban farms throughout a city benefits many people on different levels—from the citizens who enjoy healthy, local food, to the farmers who gain meaningful employment. Even the land owners receive a small return of the farm’s profits on what would otherwise be fallow land. Being employed on this type of farm means that workers do not have to worry about the cost of infrastructure or the variability in profits, which are based on how much produce is sold. They receive a living wage and are paid in accordance to fair trade principals. SPIN farming is not just an urban farming idea; it is a business model for small-scale farms to make a livable wage. It is a revolutionary way to rethink agriculture and urban land use. Want to learn more about SPIN farming? In addition to SPINFarming.com, there are several books that outline methods of growing food for profit on small, urban plots. A small urban SPIN farm delivers fresh produce to your door by bicycle. Jared Regier and his wife, Rachel, used to be environmental educators. This year they’re taking their passion for sustainability into the field and getting their hands dirty by starting their own small farm. Are they leaving the city for rural pastures? Not at all. In fact, they are using backyard lots that have been disused and neglected to grow fresh produce right in the city, where they will deliver it to the doorsteps of their neighborhood customers by bicycle. Alex Liebman of Stone’s Throw Urban Farm talks about the precarious nature of farming on underutilized and vacant urban plots, earning a decent wage and what aspiring urban farmers should do to maximize their chances of success. As people wake up to the fragility of a global agricultural system dependent on oil and chemical inputs, they are turning their focus closer to home—and finding abundance in their own backyards. 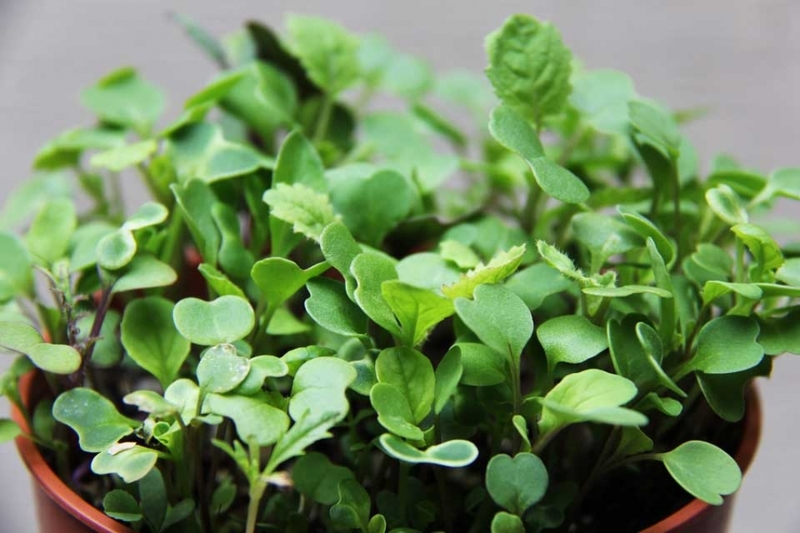 We explore three examples of urban backyard food gardens and the surprising amount of food that can be grown with very little space.